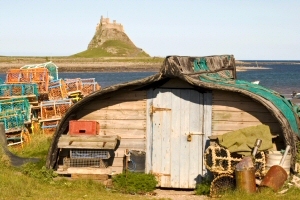 On the Bamburgh to Berwick leg of the Coast and Castles Cycleway (Newcastle to Edinburgh) you'll find our part of the route relatively flat and easy going. Pathfinder dive charters depart from St Abbs Harbour which is one of the best dive locations in the UK with wrecks and excellent dive sites. Fishing trips and scenic trips can also be arranged. The Maltings Theatre & Arts centre providing an extensive range of theatre, music, film & dance.